Darcy blogs at Darcy’s Heart-Stirrings. Darcy is a wife and mother to two girls and two boys and lives in the mountains of central Montana. 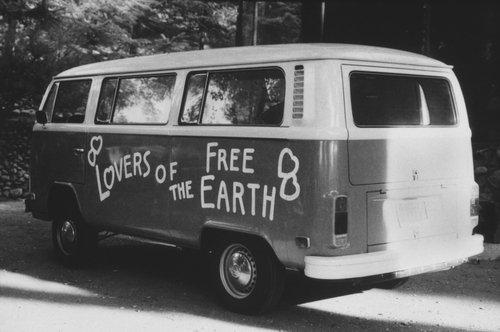 So I’m a bit of a hippie. I believe the popular term nowadays is “crunchy.” I’m a huge supporter of Attachment Parenting, I birthed my babies at home, breastfeed toddlers, harvest my own herbs, make my own house-hold cleaners, have lived off-grid, can milk a goat and make kefir out of the fresh milk. I don’t eat placentas, though. I have standards. I’m a non-conformist, even among the non-conformist community. I follow a lot of hippie/crunchy pages and blogs. I have many friends that live this lifestyle, including a great local Attachment Parenting group where I’ve enjoyed hanging out with other parents similar to me. I’m seeing a movement, a push maybe, toward homeschooling and “unschooling” that is making me feel unsettled. These are not religious people and most aren’t homeschooling for religious reasons at all. I completely support responsible homeschooling and the right to homeschool, and I support the right for children to have the best education possible. But I’m seeing homeschooling completely and utterly romanticized by people in my generation who were not homeschooled, not a part of the culture of homeschooling pioneers that I grew up in and experienced firsthand. These people paint homeschooling as the best most awesome experience, many of them never having experienced it, and they all read each other’s blogs that only talk about how great it is and how bad and “unnatural” public schools are. I see people being drawn to homeschooling for reasons that seem…..off to me, and unrealistic and downright misguided. I often want to ask “Are you sure you know what you’re getting yourself into?” but many times from the sound of the conversations, it doesn’t seem like they do. Many of my crunchy mom friends have expressed surprise that my own kids are in public school. They just cannot fathom that someone who was so “blessed” to be homeschooled would not “give that gift” to their own kids. I’m at a loss what to think or say because these are not the fundy homeschoolers of my past. They’re hip, tolerant, non-religious, very nice, educated people, who have been given a pretty picture of homeschooling from blogs that only paint half the picture. I realize that the concept of homeschooling is new and exciting for them while it’s old news to me. But I feel like the picture they have of homeschooling from all these blogs is very unrealistic, and they may be setting themselves up for a harsh dose of reality. The ideas that are flying around on crunchy virtual hang-out spots about homeschooling also sound suspiciously like everything I was taught about homeschool versus public school. There’s a lot of fear and misinformation and lines being draw in the sand. I’m seeing our schools being demonized, painted as the enemy of our children, the enemy of education and free-thinking, “social experiments” — and don’t forget to throw in a few Hitler references to make it complete. Now, this meme is old news for me. My fundy homeschool buddies have been passing it around Facebook since Facebook began. The fact that this is now being passed around by proponents of homeschooling and “unschooling” who are not religious and considered “progressive” is concerning. It seems that there is a new hatred of public school that is beginning to take root, and it has nothing to do with Christians. All the illogical, misinformed, sensationalist arguments against public schools that I’ve seen for years, is being repackaged, regurgitated, and spit out all over the websites of people who think they are some kind of pioneers, that this “rebellion” against formal education is all their idea. They ridicule other parents who put their kids in school, saying we must not love our kids if we send them to “government brainwashing centers” (sound familiar?). Which, of course, usually makes me laugh out loud because I’m pretty sure the homeschooling leaders of the conservative movement of the ’80’s invented that term. Really though, all they’re doing is perpetuating the exact same dogma that has turned so many of us first-generation homeschoolers away from homeschooling. You don’t have to be religious to be bigoted or to promote propaganda. A young child of non-religious home-schooling parents just told my daughter “Oh I don’t go to school. School is bad.” Now where have I heard that before? I feel that I am in a unique position. But they already are showing signs of the same problems the original homeschoolers had, just from a completely different point of view. Ultra-sheltering of children, polarizing, dogma, misinformation, and fear are present in this new generation as much as they were in the old. I’m worried about where this might be going, feeling like I’m watching history on repeat, a helpless bystander as some very familiar insanity is marching by me. I guess what I want to communicate to my hippie homeschooling friends is this: by all means, homeschool your children. But let me tell you what kind of commitment that’s going to require if you want your kids to have a good education. Because all those blogs you’re reading aren’t telling the whole story. Your kids aren’t going to learn what they need to excel in the world by cooking and painting and playing outside all day. Let me tell you how my mom devoted 27 years of her life to doing nothing but educating us because in order to give us a good education, she had time for nothing else. Allow me to tell the story of how sheltering children in the name of “protection” can utterly backfire. Can we talk about what kind of attitudes surrounding homeschooling can damage the children you love and how to raise healthy kids? Perhaps I can offer the perspective of someone who was raised the way you’re dreaming of, only without the rosy glasses you seem to be looking through. And can we not hold to an “us versus them” mentality? Been there, done that, did its damage. Homeschooling can be awesome. But it can also be horrible. Can I tell you my story and the stories of my friends? Maybe together, the alumni and the neo-homeschooler parents, we can keep some of the disastrous results of the first homeschooling movement from repeating themselves. Thank you. I have friends at my UU church who express these kinds of views about the public schools. I’ve also got two high-functioning Asperger’s sons. We’ve done the online school route, and the charter/homeschool route. I have a job (in the public schools, actually). I can’t sit over my boys all day and make sure they take advantage of the lessons they are assigned, and my ex won’t do it. I know the harm this has done to their educations. I know a lot from work, about how much value there is, to being around caring teachers and kids your own age every day. I grew up as a fundamentalist Christian, in the public schools, and I can also say a lot about the value of learning young, that there are other valid perspectives besides your family’s in the world. This is a great article, and it expresses things I have wanted to say to my UU friends, very neatly and clearly. Thanks for writing it, I am going to bookmark it and share it where needed. I was homeschooled and raised UU. Another thing you might mention, depending on how comfortable you are: Most adult UUs are converts to UUism. They raise their kids in the church, and the kids leave after they grow up. I loved being raised UU. Loved it. Miss it. UU youth programming is developed for kids who are being raised in supportive, religiously tolerant environments. UU adult programming is developed for people who were raised in other religions, often judgmental or restrictive forms of Christianity. There is nothing wrong with either of these things – the problem happens when there is *no* adult UU programming that works well for people who were raised UU. And that’s really common. Because I was raised UU and homeschooled, I wound up dealing with mainstream culture shock and trying to make up for my social and academic deficiencies at the same time that I lost access to my “native” UU youth culture, which was my only culture. It was an awful experience. I would encourage anyone raising their kids UU, especially if they are homeschooled, to plan ahead – assume that, like most people raised UU, they will probably not be UUs as adults, and try out some other options in some depth. My 5th grade Sunday school class did something similar but it would have been really helpful to do it again in high school. You know, as a convert, I don’t know how much my church has to offer people who were raised UU. I know my guys are lucky to have been part of a district that offered a charter school specifically designed with homeschoolers in mind. It’s not as much structure as I would like, but it is some, and socially, it is a real help. But we are atypical. We came to homeschooling late, when my younger boy was already in Middle School. There’s another charter/homeschool mix program that meets out of the church, and I think it’s way more self-contained than anything my boys were a part of. I’ll have to pay closer attention to how that’s working out for the kids. This is interesting Theo. My UU church is extremely supportive of the public school. I was basically raked over the coals so to speak by one memeber when I joined for having homeschooled. I have a tough skin and welcome anyone who wishes to learn more about homeschooling. The false assumption is that if you are liberal (UUs generally being quite so), then you must support public education. This is another classic example of dogma; Liberals = public school, Democrat, etc. I agree, being in isolation like it sounds you were makes a difficult transition. That’s not a homeschool issue or a UU issue. However, this was your experience with your UU church and that if you so desired, should consider sharing with the them. I’m sure they would welcome your input in helping adult UUs. I personally do not like spending time going over the sins of the past. It’s a waste of time. Sure, a shared joke or two but I fail to see the advantage of emphasizing this while claiming to educate an adult in the UU principals. I hope this is an isolated case. I have not found this at our church. Dan – many people on this blog and elsewhere have described isolation that occurred because of the way they were homeschooled. It is a homeschooling issue. I talk about the past to try to help other people. Reading stories about other peoples’ pasts has helped me a great deal. If this blog had existed when I went to college, college would have sucked much less. If this blog had existed when my *parents* went to college (yeah, I know, not actually possible) then it might have inspired them to make different decisions. Again we agree Theories. Sharing stories of our past, being they good or hurtful, can be very helpful. I focused on your point about being a UU and homeschooled. “Because I was raised UU and homeschooled, I wound up dealing with mainstream culture shock and trying to make up for my social and academic deficiencies at the same time that I lost access to my “native” UU youth culture, which was my only culture. It was an awful experience.” I did not mean to suggest you should not speak of this isolation, I meant it could help if you talk with that UU church (or similar one) to allow them to make changes. I would hope they would be welcoming of your insight. I’m a UU and found your statement about adult religious education to be spot on. I was not raised in a harsh religious household so I don’t have lots in common with these folks. I did not join the UUs to replace that type of belief system. I do find knowledge and encouragement helping teach kids UU Principals. I’ve learned so much more by doing! Isolation and dogma is wrong and it is not found solely in homeschooling. I want to hear these stories as do so many others. I’d also like to hear how homeschoolers are breaking the chains of dogma/isolation to raise healthy 2nd, 3rd generations of homeschoolers. Wow! This post is excellent. THANK YOU for sharing! I am currently homeschooling my seven year old daughter and feeling increasingly uncomfortable with my decision to do so for many of the issues addressed in this post. We’re a military family and move frequently making homeschooling wise to a certain degree but there is always that nagging voice asking me if I’m ultimately doing a disservice to my child. She is a human, not a social experiment. The longer I’ve been around the homeschooling community, the more my concerns have heightened. The isolation many families choose for themselves in alarming. The harsh criticism of parents who choose differently is growing old; all the more so recently as some of my closest friends send their children to public school and are amazing parents.The hysteria over any criticism to homeschooling, even from fellow homeschooling parents like myself who are simply trying to remain objective, not steal away educational freedom rights. Sometimes I can’t help feeling that homeschooling has become an idol of sorts, a Moloch to whom parents sacrifice children and sanity to the detriment of wisdom and prudence. Homeschoolers Anonymous has opened my eyes to so many issues in the homeschooling community and also has forever challenges me to keep empathy for my daughter and her thoughts on her lifestyle at the forefront of my mind. This post was an especially powerful example of the best HA has to offer. Thank you for sharing this piece and thank you to the other authors who share their perspective and work so hard to provide a voice to the “other side” of the homeschooling decision: the children. Gracie, I encourage you to find new homeschool support. I understand how tough it can be but I wouldn’t have stopped homeschooling. Our homeschool community was extremely religious. We still had friends while the kids were smaller plus my kids played with neighborhood public school kids. Quite frankly, our house was the preferred house for ALL kids. Our rules were clear and I was there at all times. Thank goodness for the internet. I found my support via statewide groups. But I wasn’t all that unsure of myself so I guess that helped. I did find your statement on not wanting your child to be a social experiment humorous. I’ve followed educational trends for about 50 years. I can firmly say the public school system is constantly changing goals, teaching theories come and go and curriculum get revamped on a continual basis. I never used textbooks because they were just too busy. Many are thick with with pictures and such, all to “amuse” it seems. I always felt if the public school system could experiment with kids learning, so could I. And I did, with a tons of reading and studies to support us, we homeschooled through high school. I also thoroughly enjoy HA’s giving homeschool kids and families a place to share experiences. I fail to see how your dismissive and callous comment addresses any of my concerns. If anything, it highlights the very issues I have with the homeschooling community and the reasons I question if it’s healthy for me and my family to remain committed to this decision. Gracie, homeschooling really can be awesome. It sounds like you are going into this with your eyes open which is half the battle. Listening to your child and her desires is one of the best things you can do. Is she learning? Keeping up with her peers? Happy? Is this something that is making your family stronger or is it bringing stress? My daughter and I have a much happier, healthier relationship now that she’s in pubic school. I discovered I’m better when I’m just Mom. But every child and every parent is different. And every year of their life is different. What works one year doesn’t have to be a life-ling commitment. 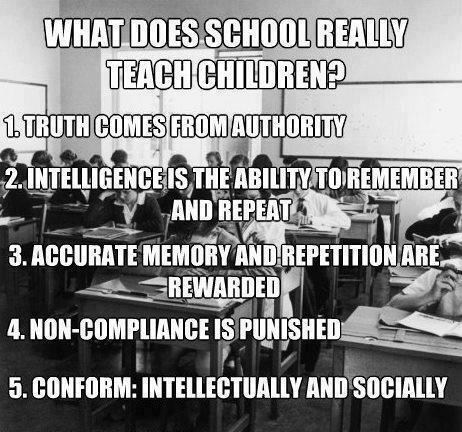 I’m not homeschooling because I’m in school myself. and my kids are excelling at the top of their classes and they adore school. If either of those things changed and it would be better for them to be homeschooled, I’d do that for them. You got this! You can always change your mind if something isn’t working. The most successful homeschooling families I’ve known have been very flexible – having an eye on the individual needs involved (parents, students, older and younger siblings) means not writing off any options. A lot of kids go back and forth between schooled & homeschooled as their needs and opportunities change. Unfortunately it can be very hard to keep that flexibility, because as a homeschooling parent you pour so much energy into homeschooling, any negatives start to feel like judgements on *you* and not a simple evaluation of what’s best for your child. And of course you can’t foresee the future – you make the best decision you can and see how it goes, but you can’t change the past once it’s happened. Congratulations on rethinking your choice. Whatever you decide, and however you change in the future, just by focusing on your daughter as a person. This makes a lot of sense. Flexibility is really important. I feel that if you’re going into homeschooling with the attitude that homeschooling is the ONLY acceptable option and nothing could possibly change your mind, that no matter how supportive and enriching a learning environment you seem to be giving your kids, there’s a problem here. I’m sorry that your parents disempowered you. I will fight as long as I am capable of it for good laws that prevent child abuse, and I am for regulated homeschooling. But when you tell me that all unschooled kids will end up powerless, you are still talking from that powerless mentality your parents intentionally inculcuated to keep you in their cult. I can and did educate myself. Anyone (of basic financial means) in our culture can, if their parents or their schools don’t take away from them the above three things. What middle class kids in privileged industrial societies need to excel in the world is 1) a sense that they have the power to do so, 2) supportive people around them to point the way to resources, 3) the ability to learn (which all small people are born with). No one needs anything else to create for themselves an education that will allow them to excel. Um, what? My parents didn’t “disempower” me. They gave me an excellent education and taught me how to think for myself. My mom is now a special-ed public school teacher and is very gifted and a passionate advocate. But while she was a homeschool mom, she often tutored those kids whose parents thought all they needed to do was cook and paint and play. Know why? Because they ended up teenagers who couldn’t even pass a 8th grade SAT, let alone a GED or college entrance exam! My mom cleaned up the mess that other homeschooling parents made of their kids. And don’t even get me started on my husband’s lack of education thanks to unschooling ideals. BTW, “being empowered” is awesome, but it does not teach you how to write an essay or do Algebra or complete a job resume. We may not live in an ideal world, but the fact is the world we have is the world our kids have to live in. By all means, let’s change the system, but let’s make sure our kids can survive and thrive in it. And that means a few basic set of skills that need to be taught. I am merely using the definitions I’ve seen on all those blogs I talked about in my post. 🙂 Though this is rather off topic as I in no way said anything negative about unschooling OR homeschooling. I was merely pointing out the similarity in the dogma being presented between several different groups in this post. I think it depends on what you mean by unschooling. I have no problems with using the child’s interest as a platform for other learning. For example, if your son loves world history, by all means teach him to write by starting with his interest – researching and writing about world history. But never teaching our kids to write a research paper, or never doing algebra would be an issue. Thank you Rose! I might add to your “How middle class kids can excel” ; the fact that life is uncertain, get used to it. I know my sons were rather shocked when getting out in the world. That’s fine. That’s normal. The ability to adjust to our circumstances is a powerful tool. Raising confident, loved kids who have adults who love them gives them quite an advantage. Fascinating article. I haven’t commented here before, but I am a crunchy parent who plans to homeschool (baby is tiny still). We are doing it partly because of our own experiences with public school, something that’s important to keep in mind. I think it’s easy to over-romanticize the schooling option you didn’t have. However, I’ve been reading here specifically to find out traps to avoid and to figure out ways to get my son the best childhood and education I can. I do tend to identify most of the problems I read about here as being very strongly related to the religious fundamentalism, but I know that it is possible to have other kinds of fundamentalism as well. It would be a grave mistake to think you were immune to these kinds of problems just from not being religious. Brea. Just try to remember to understand what your goals are. You do NOT need to hate public or private school in order to homeschool. You need your own, well researched reasons. You know your family the best. Being flexable helps too! Great article. Sadly, what Darcy describes is not a new phenomenon. I was homeschooled in the 1990s and personally witnessed many “crunchy” parents — initially attracted to child-centered John Holt-inspired ideas — being sucked into the fundamentalist, fear-based mentalities of the conservative Christian homeschooling culture. Back then, and I’m guessing even now, the demographic size and influence of that conservative Christian subculture affected the experience of almost all homeschoolers in some way — whether through the in-person influence of local homeschooling communities or through magazines and curricula purporting to be for all homeschoolers but really pushing the fundie reasons for homeschooling. I’m also guessing some of these “crunchy” parents are being influenced, knowingly or not, by the ideas of John Taylor Gatto (who’s been around for a long long time). He was on the lefty unschooling side of things, but strongly pushed the idea of schools as “factories” producing “worker bees,” etc. Gatto has enjoyed a large amount of crossover appeal within conservative Christian homeschooling circles, which is why many may associate his concepts/catchphrases with the fundie side of homeschooling or think they originated there. Indeed, his role across different homeschooling subcultures and influence on the homeschooling movement might be an interesting topic for a future HA piece. Maybe it’s just me, but there seems to be an undercurrent of class and race divisions in the crunchy homeschool world just like there was in much of the religious world. Public schools seem to be seen as the domain of the unwashed poor and working classes, who need the state to control them to create good followers, while they, the enlightened upper classes should be educating their children to be the future rulers of the masses. I see it as an inherently harmful extension of white flight ideology. I totally agree. In fact, there is a lot of historical evidence to support this claim. The private/church school movement of the 1960s and 1970s was a direct response to desegregation; it then morphed into the “family values” lingo of the religious right that was expressly intended to privilege the white, middle-class, nuclear family. Yes, I would agree this has been a discussion point for many. I also believe this has been an issue with public education for decades. I’ve had my share of conversations with folks on their perceptions of my homeschooling. They always thought it came down to how I wasn’t comfortable with Latina or other minorities. Nope, sorry. In fact even in our local school there is significant evidence groups of whites and minorities separate themselves, voluntarily. You can say there are also class divisions. This is a societal issue, not a homeschool one. There seems to often be an assumption among some unschooling parents that they are raising their kids to be the Anointed Ones–the Creators, the Thinkers, the ones who drive society and have people like my own students working under them to bring forth their vision. It’s an ugly attitude and I can imagine that it’s also quite a bit of pressure on the kids themselves. There seems to often be an assumption among some unschooling parents that they are raising their kids to be the Anointed Ones–the Creators, the Thinkers, the ones who drive society and have people like my own students working under them to bring forth their vision. Highborn and Lowborn, just like in Game of Thrones. Where the Lowborns’ only reason for existence is to work and die for the Highborns’ Great Vision, Convenience, and/or Whim. I attended school where I received an excellent academic education and also suffered so much abuse at the hands of my peers that I sport scars to this day. For many years, the post traumatic stress from the events completely derailed my life (suicide attempts through adolescence, eating disorders and hospitalization for severe depression). In fact, I went on to become a teacher myself in an effort to heal from the experiences. It was what I saw from that perspective (rather than my childhood experiences) that convinced me to not send my children to school. At least not in the US system. We moved to another country and tried the schools here (far better on all accounts) but we have now opted to homeschool. My children are thriving, well socialized, academically gifted. There have been no downsides from our perspective. Thanks, Darcy, I’ve ran into several non-religious unschoolers who’ve been this way – said we don’t need to do school, just play PLUS argued that school is evil. So you were homeschooled and you didn’t enjoy it. I was sent to school and thought it a waste of my time. My parents have even apologised that they didn’t recognise at the time that my needs were different to my siblings. If you go up to your unschooling ‘friends’ and tell them they are ruining their children’s lives don’t expect a positive reception. School is an experiment with our children. Considering it has only been around for about 200 years. Before that unschooling was the norm. Rich children may have had tutors but it wasn’t the norm. Even Mark Twain a hundred years ago spoke out against schools. I try and give my children an honest opinion of school. I make sure they understand their friends who go there don’t have the choice and that some of them enjoy it. I don’t waste my time trying to convince everyone else that they should homeschool their children. If they are interested and ask questions I will answer them. Name just about any group in the world you will find a subgroup who feel the need to attack others to feel more secure in their own choices. My son learnt this morning about disappointment from playing a computer game and loosing lots of credits. I rather he learn with play money than real money. It has been said by some that the reason why so many teenage boys die behind the steering wheel is because they didn’t have the chance to take risks when they were younger and learn about consequences. If my children have children and send them to school that will not mean I did not do the best I could as a parent. Wow, gotta love all the words put in my mouth by people getting defensive and completely missing my point. I actually loved being homeschooled, thanks for asking. That has nothing to do with anything I said in this post. I was raised as an essentially secular (Unitarian) homeschooler by liberal parents in the 1980s and 1990s. A lot of my own experiences parallel those of religious Christian homeschool grads, in particular academic and social difficulties due to isolation, educational neglect, and inadequate exposure to mainstream culture. I think many secular homeschooling parents would be disturbed to know how closely some secular homeschooling rhetoric parallels some religious homeschooling rhetoric (and vice versa). To my knowledge, this has been true since at least the 1980s. The parents in your social circles may be responding to an existing secular homeschooling culture, rather than creating a new one. Or they may really be creating a new one. I don’t know which is true. I worry a little that the “neo-homeschooler” label makes it sound like problems with secular homeschooling are recent and come from religious homeschooling, but some of them are old, and home-grown. These are very good points. Obviously I’m coming from the perspective of a person in my 30’s, raised in the religious homeschooling movement, observing what is happening right now around me with other parents my own age. As I look back, it seemed to go in waves: first there were the secular/hippie homeschoolers, then the religious homeschooling movement took off and got all the attention, now that’s waning and we’re back to a new wave of secular homeschooling with all the same dogma of the religious movement. But maybe you’re right. Maybe that dogma has been here all along and the religious people co-opted it from the original formal education rebels. Regardless, it’s troubling for sure, and that was really my point. I couldn’t agree more with you Theories. Dogma is dogma. We do what we believe works for our families. This should not include ripping apart other choices to bolster our own. Wow. What a well-written post, Darcy! I’m a former 1980s homeschooler myself, and have long been intrigued by the arguments that circulate back and forth among liberals and conservatives. In fact, I’m writing my dissertation on that. It’s been a bit of a hard sell to some of my academic audiences so it’s very affirming to see you and others point out this trend. To me, this rhetorical cross-over is both surprising and disturbing, but I’m surprised that so few who identify as politically progressive see it that way. Many seem pretty dismissive about it. What gives? How do we explain why it matters? What evidence beyond personal anecdotes can we point to? I think part of my problem is being so close to the issue that it’s a gut-level knowledge, which makes it difficult to articulate to an audience with a different background. Any thoughts? Naomi, I love reading history and your dissertation sounds very promising. I’ve watched the coming and going of religious verses secular homeschooling. It’s interesting. I believe it’s important only for two reasons. 1) political influence. I got involved when I noticed huge monetary and lobbying commitments from evangelical homeschoolers. They made false claims, one of which was they represented ALL homeschoolers. I called B.S. and let my representatives know that was not the case. Usually the proposed legislation would have encouraged more legal oversight, benefiting one of those large attorney firms, “those who shall not be named”. 2) Public perception. At the height of the religious homeschooling movement, again we were all lumped together. Being labeled wacko really hinders open discussion. Families can not make an educated choice if they are fed cliches. But I truly believe history is written from a particular perspective, usually the winners. Folks who have attempted to write about homeschooling history often get caught up with numbers thereby showing some sort of majority verses minority. I wish you well and hope we have access to your work some day. Is it just the lack of research/systematic critique? There’s a huge and deep body of research, philosophy, and writing on schooling but so far there’s very little about either homeschooling or unschooling. There’s philosophy/theory and anecdote but large scale research is hard to find, much less popularized versions of it. I wonder whether the similarities spring from a deeper root- that of a romanticized view of the past and a simpler time and lifestyle: homesteading, canning and preserving,traditional crafts, etc. I want to emphasize that none of these things, including homeschooling, are inherently bad; however, they are problematic when coupled with an idealized vision of how things used to be. I think this is spot on. Building on that idea, I think the superficial similarities between crunchy homeschooling and fundamentalist homeschooling — the overlap between “back to nature” and “back to the nineteenth century” — help explain how parents drift between these homeschooling methods and communities or become some strange combination of the two. After all “crunchy homeschooler” and “fundamentalist homeschooler” are ideal types. When a parent is unsure of her own beliefs or just broadly prone to outside-the-mainstream ideas, these “traditional/natural” activities — and corresponding literature and communities — can become the bridge between crunchy and fundie (which some people cross only partially, or cross back and forth repeatedly). First, let me say I’m so sorry your homeschool experience was so bad. Tons of public school kids can say the same. You survived and hopefully moved on. Second, I totally agree with you about the uselessness of blaming public school. We homeschooled and I made it a point never to say homeschooling was a reaction to public school. I don’t blame families who choose it. We homeschooled because I believe it is a superior type of education.This didn’t prevent my kids from playing with neighborhood public school kids. We also don’t know each other so there is no way of knowing when we each homeschooled. I do not agree that the “first homeschool movement” was a disaster. A more helpful and appropriate statement would have been to detail why you thought YOUR experience was so bad. The religious right loves to lay claim to being the pioneers of homeschooling – this is false. They came on the scene in the 70s. Homeschooling has been around at least 50 years therefore I’m not sure which “first homeschool movement” you are referring to. Again, I agree dogma is a horrible thing. It doesn’t matter what the belief is, I believe the narrowness that dogma demands is very damaging to everyone. 1. I never said my homeschooling experience was “so bad”. 2. I never said the homeschooling movement was a disaster. My apologies Darcy. I mistook statements like, “Allow me to tell the story of how sheltering children in the name of “protection” can utterly backfire. ” …..”Been there, done that, did its damage. Homeschooling can be awesome. But it can also be horrible.” I’m very interested in what you have to say regarding your homeschool experience. I’ve seen some of what you’ve written about. Is it possible many of these ‘unenlightened hippy homeschoolers’ took their children out of the public schools because of horrible experiences there? It appears you don’t have this problem with your children, but there are many who do. (Raising my hand.) The level of parental helplessness felt when your child is being mistreated in a school would certainly make a good parent bitter. Particularly, when previously, ‘progressive’ parents could not imagine not using the schools, instead of home education. The joys of freedom tend to incite people spreading the word. It’s only natural. It makes sense there is an “us vs them mentality”. Over the years of the ‘modern’ homeschool movement, the school establishment and powerful, rich lobbyists tried and try to take away the freedoms helping to make our families generally successful. We generally have the benefits current good school teachers wish they had, instead of being locked into standardized bureaucracy via increased federal oversight with a dangling $$ carrot. Many homeschoolers pay attention to the politics of public schools to see what’s coming around the next ‘cutting edge’ bend, sometimes straight at us, such as Preschool for All or daytime curfews. Surely, you have noticed the increased parental outrage over Common Core State Standards, the corporate interests in our public schools and the lack of student privacy. Do you discount those concerns, even as the parents leaving made a huge decision for their family? Makes sense to me parents would be slightly alarmed at these factors, and when they are out of the ‘system’, they’re kicking up their heels. Maybe they’re not as ignorant and ill-informed as you believe. Most families find their own unique way to make learning work. Some use the schools. Some homeschool, and in the long run of a family, it might not be in a manner you and others perceive as feasible, while it fits the individual’s life goal of being content, not necessarily scoring well on a SAT. I would never want to judge anyone’s choices, Susan. I have probably been reading the same stories you have. Diane Ravitch? School closures in New Jersey and Philadelphia? Money being funneled to lousy charters, online programs, and vouchers for schools with creationist curricula? I have been following all those stories, also the ones about New York’s horrible rollout of the Common Core online tests, and LAUSD’s purchase of all the iPads with the Pearson curricula on them. I also have a son who was bullied so badly in the 7th grade, that he can’t face the thought of going back to a conventional school program. It represents the promise of learning for kids without college-educated parents who can share their learning with them. It represents a place where kids can learn, whose parents can’t afford to keep someone at home all day to make sure they are studying, a place for kids with disabilities to get education at their level, or the skills they can use one day, to live on their own. It represents the place where I was once taught that there were other worldviews out there, besides the paranoiac conservatism of my parents, and the place where even if the kids bullied me, unlike at home, the adults were a refuge. For these reasons and more, I do not want to give up on public education. I see it being sabotaged by so-called “reformers”, and my impulse is not to seek out a better option just for my kids. My impulse is to stand up and fight, and try to win back the promise John Adams once made, of free, public education, that will give all our kids what they need to be informed citizens of our country. I do not mean to come across preachy. I just want to share my opinion. A lot of the crunchy “homeschoolers” I know, their kids aren’t even school aged yet. People are in the park talking about taking their 4 year olds skating as “homeschool gym”. Homeschooling has definitely gotten trendy in certain circles completely aside from individual families’ experience with either school or homeschool. And when you get people doing something just because it’s TRENDY(TM), the alarm bells should go off. People can be dogmatic across the spectrum. However, this doesn’t mean all or even most crunchy homeschoolers are dogmatic about their educational approach. However, as with coverage or perceptions of any movement, the media specifically and people in general are frequently most interested in the fringes at each “end,” and this can certainly skew the picture that’s presented of homeschooling (or anything else). Which of course, can then, to some extent, skew the audience that is going to be attracted to joining in. Most crunchy and semi-crunchy homeschoolers I know work hard to facilitate their kids’ educations, and frequently in the high school years, their kids do attend school part- or full-time, or they attend classes, they enroll in community college, they have tutors in specialty areas. If they are not interested in preparing for college attendance, they’re learning a trade, helping with a business in a serious way, mastering skills that are important to them, or apprenticing. Many of these families consider themselves unschoolers, and the parents consider their role to be helping their children launch into independence, so they can be economically, socially, politically, and personally as functional as possible, whether they are or aren’t “alternative” or non-conformist in other ways. In fact, I’d say a lot of these folks don’t get pictured at all in the conversation about stereotypes; they don’t define themselves in regard to school (pro- or anti-), and they simply do what works. “Doing what works” does require significant freedom in order to create/allow innovation, and, in my opinion, it does have the potential to change the landscape of public education for good over the long term. There will always be people selling the too-good-to-be-true, and there will always be people ready to buy it. However, just because there are people to populate the stereotypes at each end doesn’t mean there aren’t an awful lot of people in the middle who are working hard engaging their children every day. The fact that these people are supposedly promoting a form of learning based on curiosity and inquiry seems awfully ironic, given their utter lack of curiosity–and frequent downright hostility–towards any experience that throws a wrench into the works of their homeschool/unschool fetishism. Admin note – Some comments in this thread have been deleted for containing language supporting isolation and abuse of children.